Forget the questions about his current form. Jordan Spieth deservedly enters this year’s Masters with confidence built on an impressive five-year run at Augusta National. To appear in one Masters is a dream for every golfer, but to compete in five shows a quality of play that goes beyond a fluke PGA Tour win or high finish in another major; only 399 golfers have teed it up five times or more at the year’s first major. Yet Spieth, still only 25, hasn’t just been a part of the chorus at Augusta. With his one win and four top-three finishes, the Texan can make the case of having the best five-year run to start a Masters career as a professional. His challengers? Suffice it to say, Jack Nicklaus and Tiger Woods possess pretty sporty Masters résumés in their first five starts as pros. And what about all the other great Masters champions? 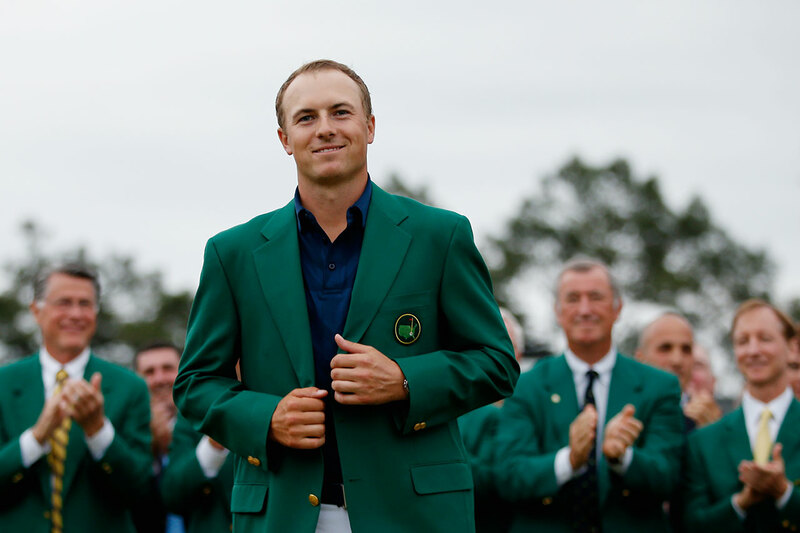 We took a look at the first five professional starts at Augusta National from every multiple green jacket winner as well as some players of more recent vintage who garnered a single Masters title. Since tournament playing statistics don’t date back to its inception, the primary focus was on scoring and overall performance—which is usually a good barometer of success. Note that all stats reflect the first five appearances as a professional and do not include starts as an amateur. Let the debate begin. In his first 20 Masters rounds, Spieth has shot 66 or lower five times. By comparison, in their first five Masters, Woods did it three times and Nicklaus twice. Phil Mickelson had two rounds of 66 or lower and Byron Nelson and Seve Ballesteros had one each. Meanwhile, Arnold Palmer, Gary Player, Gene Sarazen, Ben Hogan, Sam Snead, Tom Watson, Vijay Singh, Fred Couples, Phil Mickelson, Ben Crenshaw, Jose Maria Olazabal, Bernhard Langer, Bubba Watson, Jimmy Demaret, Nick Faldo and Horton Smith combined to accomplish the feat … zero times. There have been just 16 rounds of 64 or better shot in Masters history, of which Spieth has two of those in his first five years—in the opening round of his win in 2015 and in last year’s final round. In fact, Spieth owns half of the 64s shot in the last 20 years: Bo Van Pelt in 2012 and Jason Day in 2011 being the others. Only one other player in Masters history has two 64s or lower—Greg Norman with a 64 in 1988’s final round and a 63 in the first round in 1996. But Norman had played more than five Masters by that time. Nicklaus has one, a 64 in 1965 in his fourth Masters. Spieth already has led after the first, second or third round of the Masters a staggering eight times. That’s eight out of 15 rounds, folks. Next most is Nicklaus with five rounds in the lead, while Woods, Palmer, Ballesteros and Horton Smith had led three times. Add in the final round and Spieth has led at the end of nine of his 20 career rounds. Jack did it eight times, and Tiger and Smith accomplished it five times. Hogan, Snead, Faldo, Couples, Olazabal and Bubba Watson never led after any of the first three rounds in their first five years. Perhaps nothing is more nerve-wracking in golf than the first round each year at Augusta National. It’s a day players have thought about for six months or more. As such, there is pressure to perform, and Spieth has responded with a first-round scoring average of 68.4—one that beats all others over their first five forays at the Masters by more than two strokes. The closest to Spieth is Phil Mickelson’s 70.6. Spieth is the only player to own a scoring average below 71 in all four rounds. Nicklaus and Woods got under that mark in three of the four, and Tom Watson in two. Overall, Spieth’s scoring average for his first 20 rounds in 70.05, trailing only Woods who posted an even 70. Put another way, Woods shot one fewer stroke total than Spieth over his first 20 rounds. 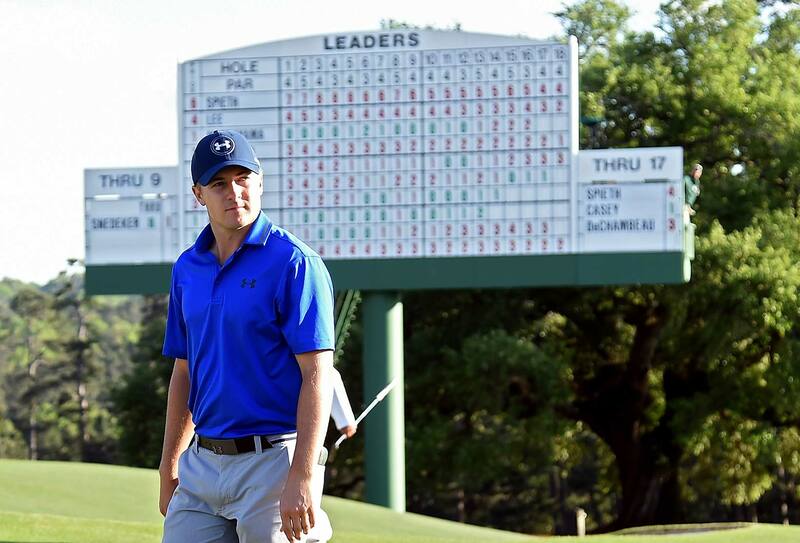 Spieth’s strong mark is the result 13 rounds under par, besting Woods by one. OK, averages are always tricky. However in this case they speak to Spieth’s consistently excellent play at Augusta National over his first five years. Spieth’s average finish is 3.8 (T-2, Win, T-2, T-11, T-3); while Nicklaus is 4 (T-15, Win, T-2, Win, Win). Woods trails at 6.6 and Byron Nelson is 7. Spieth is also the only Masters competitor never to finish worse than 11th in any of his first five Masters. Spieth and Nicklaus are the only two players to finish in the top three in four of their first five appearances. For all Spieth’s flashes of brilliance, such as his 270 romp to victory in 2015, the root of his quality is his staggering consistency. OK, so here’s a category where Spieth gets passed. The Golden Bear owns three green jackets in his first five pro starts, making it look like the Masters was his personal club championship. That’s compared to two for Woods and one for Spieth (although Spieth’s 275 total in 2018 would have won all but 10 previous Masters). Other than Nicklaus and Woods, only Horton Smith won two of his first five starts, grabbing the inaugural playing in 1934 and following up with another win two years later. Most will contend that Nicklaus’ three wins and Woods’ two trump all other factors, and it is a strong argument. The lone caveat: Both Nicklaus and Woods gained experience at Augusta while playing in the Masters as amateurs, a luxury Spieth did not have. 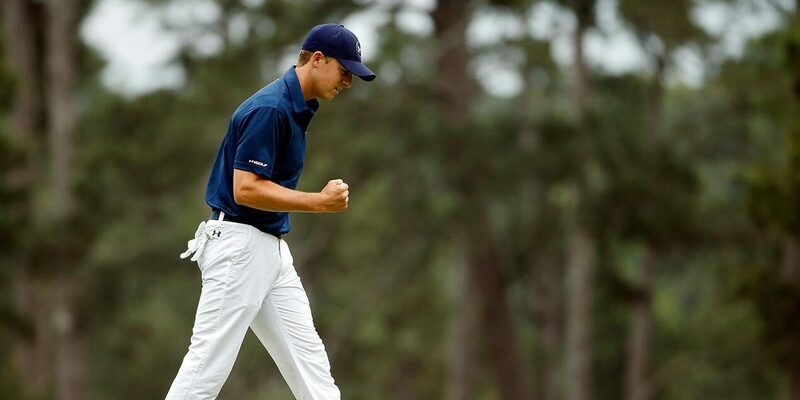 Although it can be argued that Spieth has had the most consistent and, perhaps, most explosive start to a Masters career, it is difficult to overlook Nicklaus’ three titles and the two won by Woods in historic fashion—establishing the 72-hole scoring mark in 1997 (later tied by Spieth in 2015) and finishing off the “Tiger Slam” in 2001. Still, Spieth stacks up and, indeed, surpasses these titans on a number of levels at Augusta National. Regardless of who has the most impressive resume for their first five appearances, anytime you’re mentioned with Jack Nicklaus and Tiger Woods and well ahead of names such as Snead, Hogan, Nelson, Palmer and Player, you’re in an all-time marquee pairing.